On 8 October, Vitaĺ Ašejčyk, an archaeologist at the Institute of History of the National Academy of Sciences of Belarus, posted his payslip for September on Facebook. His salary of $124 a month came as a surprise to many. In fact, salaries of this size remain a standard pay rate for many in Belarusian academia. Dramatic under-financing discourages young people from pursuing an academic career, and the Belarusian sciences show increasing signs of wear, ageing, and isolated from global trends. To improve the situation, the government could at least remove all the existing barriers for Belarusian academics in receiving foreign grants and scholarships, as well as participating in academic mobility schemes. The salary of a research fellow, according to the payslip, is $124 after tax. This is the standard rate for a 40-hour work week of a researcher in Belarus, which is a few dollars less than the Belarusian minimum wage. The employer has to pay these extra few dollars to cover the difference. Senior fellows can get $40-50 more if they have a PhD or habilitation—a higher doctorate degree. “And this we have in 2017, the year declared by the Belarusian government as the Year of Science,” notes the researcher in his post. The story quickly went viral as an example of the current state of Belarusian science. Answering a journalist’s question about about whether he might change profession, Vitaĺ Ašejčyk admitted that he and many of his colleagues think that at some point they will do it. They simply cannot survive on such salaries and have no prospects of career growth. Many remain at their workplaces only because of the possibility to live in a dormitory together with their families. Dormitory lodging costs only $20 per month. By contrast, monthly rent for a 2 room flat runs around $300. The Academy press service notes that average salary among all of its 115 organisations equals $390. It depends on the scientists’ ability to find grants and extra-budgetary projects. However, all young scientists questioned by TUT.BY, an online news portal, answered they never received this level of salary. Scholars thus have one of the lowest salaries in Belarus, along with workers in the fields of education, culture, social services, and agriculture. This is about eight times less than the best paid sector in the Belarusian economy—information technology. The amount of state support for the sciences serves as evidence of its peripheral importance for the Belarusian government. According to Aliaksandr Vajtovič, the ex-president of the National Academy of Sciences, Belarus dedicates $23,000 per researcher per year, which is two-times less than countries in North Africa, and three times less than the average CIS country. As a result, the backbone of the Belarusian sciences today largely consists of people at the age of retirement and preretirement. The Belarusian Institute for Strategic Studies (BISS), a think tank, conducted a study in 2013 that analysed human resource capacities for Belarusian science institutions. The results showed that over the past 20 years, the number of scientists in Belarus has decreased by 30 per cent. It also showed that in 1988, the proportion of PhDs older than 60 did not exceed 6 per cent. In 2009, the proportion of 60-year-old doctorates had grown to 30 per cent. BISS also found that, among the directors of science institutes and the heads of research centres under the auspices of the Presidential Academy of Public Administration, as well as among members of the Council for Thesis Defense at certain institutes of the National Academy of Sciences, not one among these significant positions has a Hirsch Index. The Hirsch Index attempts to measure the productivity and citation impact a scientist’s research publications. It is widely used in the global science community. 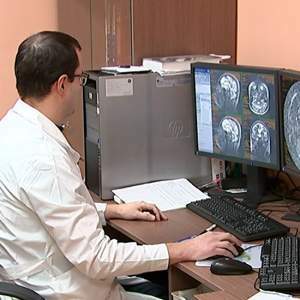 According to Andrej Kazakievič, head of the organising committee for the International Congress of Belarusian Studies, existing conditions in official academia do not stimulate research. If a person wants to have high academic status at an American university, they must do research. In Belarus, administrative or ideological positions bring much higher incomes and influence than doing real science. In addition, social sciences and the humanities have almost no quality assessment. Academics in these fields tend to publish monographs of little popularity. They often contain plagiarism and lack proper research. Nevertheless, many such publications are recognised as scientific and can even lead to degrees and institutional positions, says Kazakievič. Belarusian universities have limited access to global academic databases and international journals. As the 2013 BISS study notes, the scholars publish mostly in local or Russian journals, which remain unnoticed by much of the world’s academia. 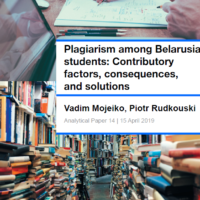 Western journals are not recognised by Belarusian degree-granting committees and the university system does not encourage publications in foreign journals. Belarusian researchers have few opportunities to participate in international academic mobility schemes or to gain foreign experience, because the academy still has not fully implemented the Bologna norms. As a result, Belarusian academia is uncompetitive at the global level. It is relegated to exist within its local environment with Soviet-style rules. Unfortunately, lack of finance, ageing and isolation are not the only issues within Belarusian academia. Long-lasting authoritarian rule and the uniform ideology that accompanies it have created a system that purges scholars who criticise the “official truth.” This has become particularly true for the social sciences and humanities. For example, at least six teachers, including professors, were fired from Hrodna State University between 2012–2015 simply for their civic activity outside the university. As a result, some scholars have chosen to work in other areas, while others have gone abroad where they can conduct research in much freer and more accommodating environments. Belarusian officials seem to understand academic science solely as a money-earning machine. Indeed, some scholarly institutions and technologies that remain from Soviet times have allowed Belarus to develop a successful defence industry. The same can be said of the domestic, skyrocketing IT sector. But despite a few success stories, most of academic institutions are likely to continue to degrade, because they cannot bring immediate profits. 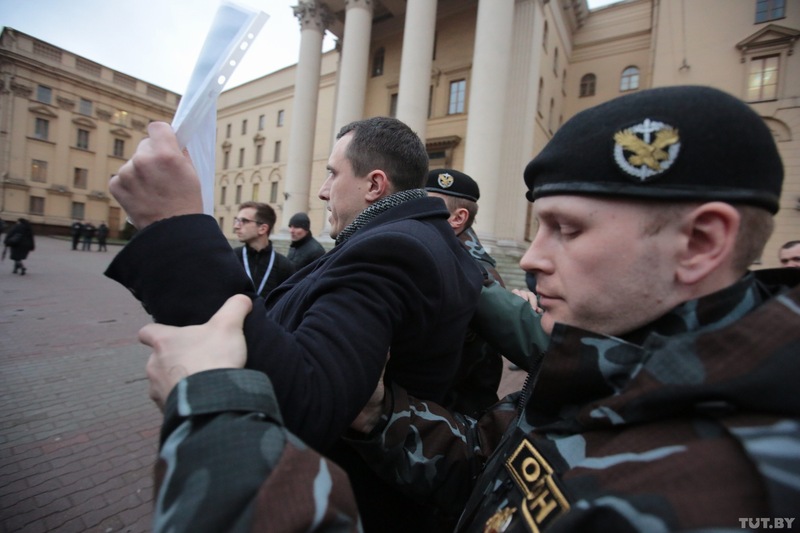 To improve the situation, the government could at least remove all the existing barriers for Belarusian academics. Opportunities to receive foreign grants and scholarships, as well as to participate in academic mobility schemes, could keep many academics afloat in conditions where the national government cannot offer sufficient funding.